skis with gusting winter winds for a one-of-a-kind snow ride. Where: The blustery expanses of Lake Mille Lacs—the second-largest lake within Minnesota’s borders—near Garrison have become a magnet for the sport. 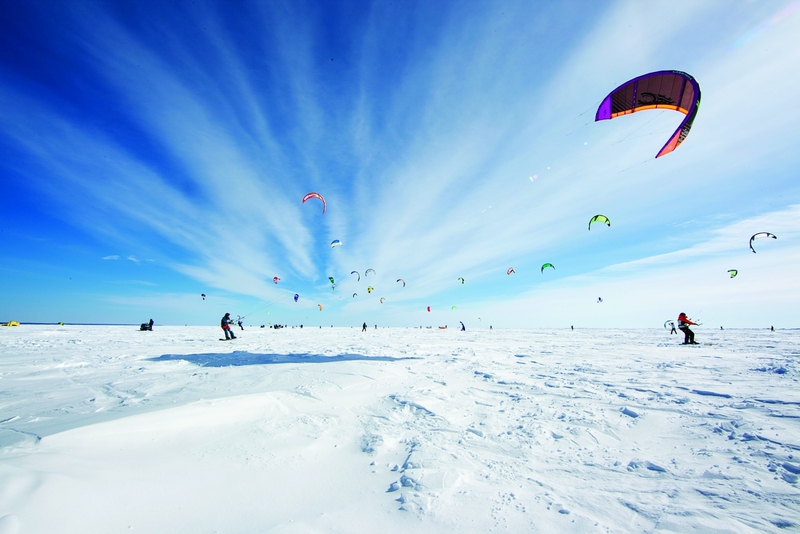 When: On March 1-3, the lake hosts the 15th annual Mille Lacs Kite Crossing race with a festival vibe. It’s a rush for participants and a sight for shoreline spectators to behold. What: For recreation or just getting around, a top-line snowmobile can outpace your average four-door sedan—especially where the roads don’t get plowed. 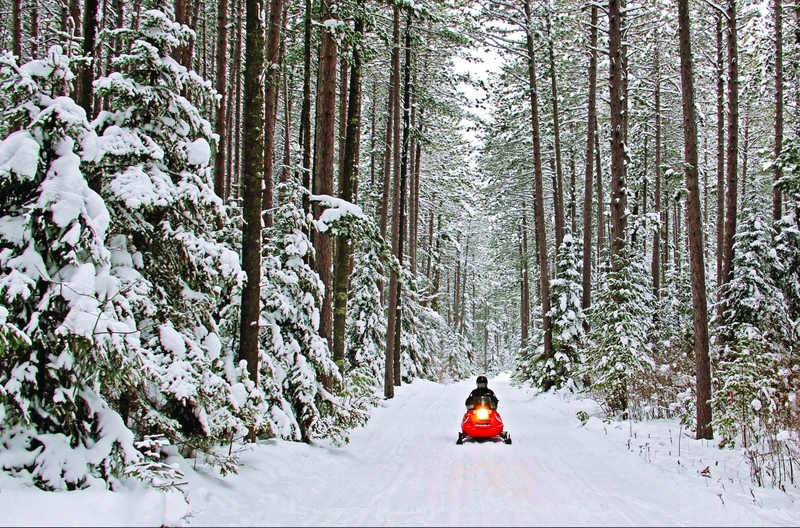 Where: Once there’s enough snow, ideal stretches for your sled include Willard Munger State Trail (Hinkley to Duluth), C.J. Ramstad/North Shore State Trail (Duluth to Grand Marais), Paul Bunyan State Trail (Brainerd to Bemidji), David Dill/Arrowhead State Trail (Tower to International Falls), and Agassiz Recreational Trail (Crookston to Ulen). When: Wanna race? There’s the Waconia Ride-In (Waconia, Jan. 25-27); MnUSA Winter Rendezvous (Cragun’s Resort, Brainerd, Feb. 7-10); and the Vintage Snowmobile Ride & Show (Isle, Feb. 16). What: It’s surfing, but: 34-degree water, eyebrow icicles, mandatory hooded wetsuit, and bragging rights for a lifetime. Where: The waves break biggest at Stoney Point in Duluth, but Park Point and the mouth of the Lester River also attract surfers. When: Winter storms bring favorable winds and high-density cold air, which are ideal conditions for large waves. Find weather and wind data from the National Oceanic and Atmospheric Administration (noaa.gov). What: Off-road cycling with snow tires, ski goggles, and a warm helmet. Buddies optional. Where: Anywhere, really, but for more nature and difficulty, head to Cuyuna Country State Recreation Area, Split Rock Lighthouse State Park, Park Point, Jay Cooke State Park, Fort Snelling State Park, or the massive Richard J. Dorer Memorial Hardwood State Forest. 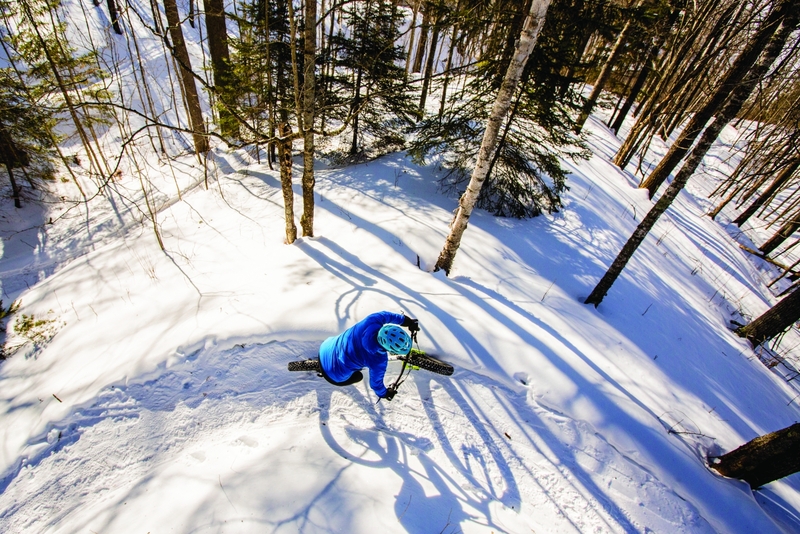 When: Hit the trail at the Norpine Fat Bike Classic (Lutsen Resort, Jan. 5); Penn Cycle Fat Tire Loppet 35K (Minneapolis, Feb. 3); or the Fat Bike Vasaloppet (Mora, Feb. 10). What: Whether taking the reins or sitting back, you’ll have almost as much fun as the team of pups pulling you through snow. Where: Meet the dogs at Points Unknown Dog-Based Adventures (Hovland), Chilly Dogs (Ely), Wintergreen Dogsled Lodge (Ely), White Wilderness Sled Dog Adventures (Ely), Endurance Kennels (Duluth), and Silent Run Adventures (Monticello), among other outfitters—especially around Ely and on the North Shore. 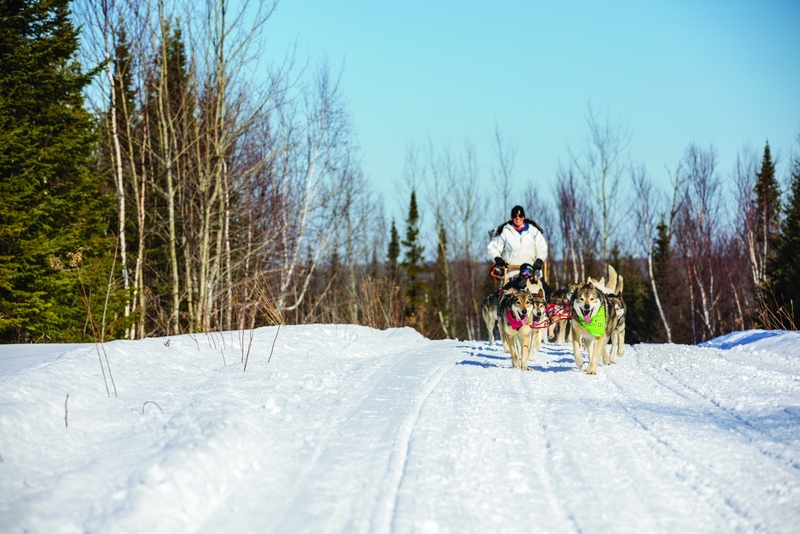 When: Lodge up and watch mushing marathoners take on the Gunflint Mail Run (Grand Marais, Jan. 5-6); the John Beargrease Sled Dog Marathon (Duluth, Jan. 25-30); or the Apostle Islands Sled Dog Race (Bayfield, Wisconsin; Feb. 2-3). What: Stay in a tent, a yurt, or a cabin. Pair with snowshoeing, cross-country skiing, or your preferred snow travel method. See all of the stars, burn all the logs, drink all the aquavit. Where: Pitch a tent at Boundary Waters Canoe Area Wilderness, Voyageurs National Park, Frontenac State Park, Itasca State Park, or Tettegouche State Park. Find yurts at Afton State Park, Cuyuna Country State Recreation Area, and Glendalough State Park. Whitetail Woods is a favorite for plentiful cabin options. 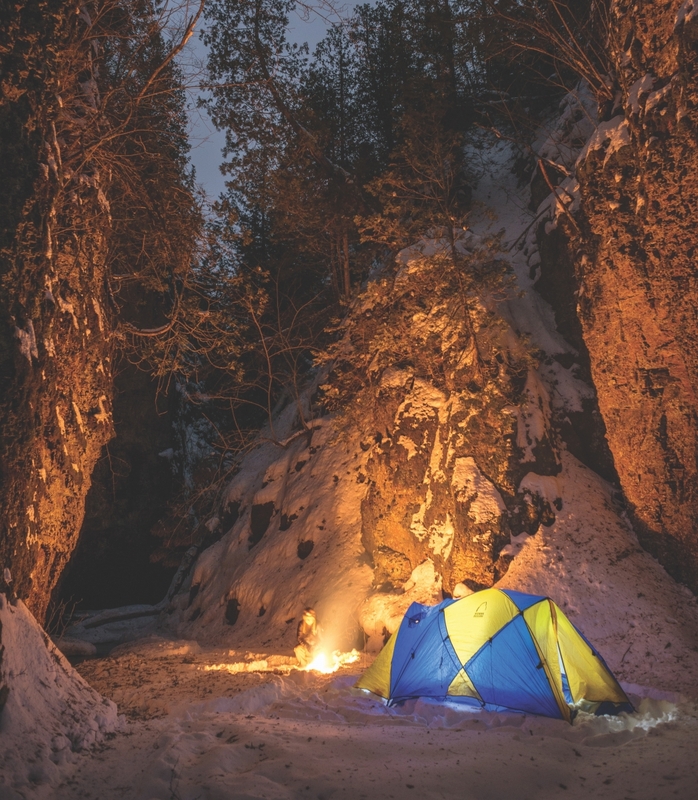 When: Tettegouche State Park hosts a one-day Winter Camping Workshop on Feb. 23. Build quinzhees (sleepable snow caves), and learn how to cook in the snow and stay as warm and dry as possible.